Not everyone is equally excited about the advent of Virtual Reality in the gaming industry. Take-Two CEO Strauss Zelnick clearly belongs to this category, as he amply demonstrated his doubts that VR will really take off in the industry while speaking to the Cowen and Company 44th Annual Technology, Media & Telecom Conference at the New York Palace Hotel, earlier today. We’ve highlighted the key parts below. 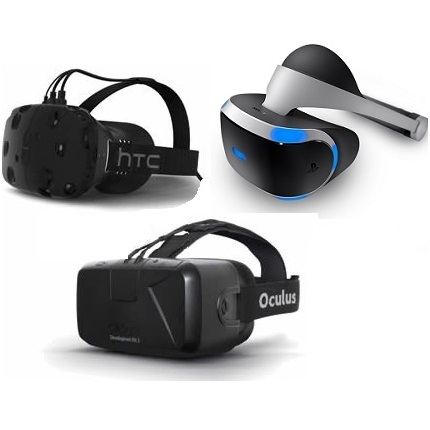 If the consumer wants to consume interactive entertainment with VR hardware, we’ll have no trouble being in that place. We’ve been doing R&D for some time. We have relationships with everyone in the business. What we haven’t yet said is we’re prepared on bet the farm on VR development without seeing what the marketplace looks like and what the appetite actually is and what the format looks like. We’re not incentivized to be at the frontline of development. We are actually incentivized to wait and see a bit if there’s an installed base, let the format settle down and let other people test the market. So, we’re quite happy to be a free rider – if there’s a market, we’ll get to the market in six to twelve months and we’ll be just fine. As it happens, I think there are numerous constraints for interactive entertainment. It’s way too expensive right now. There is no market for a $2000 entertainment device that requires you to dedicate a room to the activity. I don’t know what people could be thinking. Maybe some of the people in this room have a room to dedicate to an entertainment activity, but back here in the real world? That’s not what we have in America. We have like $300 to spend on an entertainment device and we do not have a dedicated room. We have a room for a screen, a couch, and controllers. We don’t have something where you stand in a big open space and hold two controllers with something on your head and, you know, not crash into the coffee table. We don’t have that. There are a number of constraints, as I said before. I’m not unexcited, I’m just saying, it just remains to be seen. Well, it seems like we won’t get to play Grand Theft Auto or Bioshock any time soon with VR hardware. As a reminder, the Oculus Rift and HTC Vive are available now for PC, while PlayStation VR will release in October for PlayStation 4. Do you agree with Strauss Zelnick? Vote in the poll and comment below.